NBN Co: The guarantee that lost its currency - jxeeno blog. "Mummy, where did my money go? ", asked the guarantee. I do not buy questions that demand us to guarantee anything… It’s clear that after four years of NBN, guarantees have lost currency. The proposals of an FTTN/dp and HFC network all have physical limitations which may prevent NBN Co from making such a guarantee. Some of these are of course conditional limitations, such as bad copper, distance from node or contention. But what exactly does NBN Co guarantee now on their Fibre to the Premises and Fixed Wireless networks? The traffic officer checks which class you're in and puts you in the right queue. The two traffic classes are built into the AVC (Access Virtual Circuit, the link which connects to your premises) which your Retail Service Provider orders with your NBN plan. A typical household NBN plan with 100/40Mbps would utilise the TC4_100/40_AVC. But does that mean you will always and be able utilise the entire 100/40Mbps? The answer is no. 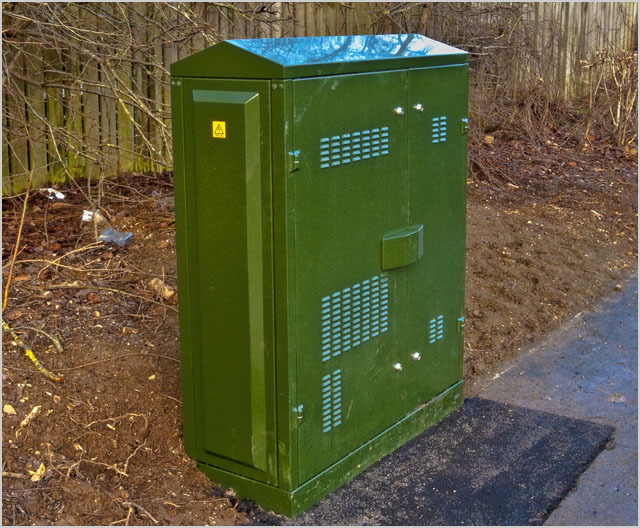 Even if your retail service provider had dedicated backhaul and 100Mbps CVC for you, there's a point of physical contention within the FTTP network which could potentially restrict you from utilising the entire 100Mbps. This table shows that if every single premises which shares the same optical split utilises its maximum capacity, from current design specifications, each user can only get a maximum of 125/62.5Mbps. Now, that's fine until you think… what if each user had 2 x 100/40Mbps connections? Each of those connections will only max out at 62.5/31.25Mbps — and that's when you complain to the TIO. But sure, NBN Co absolutely cannot guarantee you will get 100/40Mbps on traffic class 4 at all times. But it is possible to achieve the speed tier… and speeds can be guaranteed on Traffic Class 1 (albeit at a much more expensive cost and lower bandwidth), which is what's used in the UNI-V port. And thanks to the high capacity at each point of contention (2500/1250Mbps), NBN Co can guarantee almost there will be little, or no contention at a residential level. And it's quite unlikely that everyone in your street will be maxing out two 100/40Mbps lines concurrently any time in the near future — so the effects of contention are quite negligible. Even if it happened, NBN Co can also move you off to a different optical split on the Fibre Distribution Hub if too many high-utilisation users are on the same split. The problem with FTTN is that no matter what any contention is at… there could be a physical infrastructure shortfall that prohibits the network from achieving a minimum target AVC of Traffic Class 4 at 25/5 Mbps. Shortfalls like bad copper and distance which require remediation or network redesign work. We often hear a lot about peak speeds on cellular networks like 3G or 4G. The problem is the peak speed of an FTTN network is potentially lower than the AVC tier itself making the AVC non-achievable. In this case, NBN Co would be selling a product to RSPs which will never reach its supposed capacity. Also, if the same single UNI interface will be used in a mass FTTN deployment as the FTTB trial, the RSPs will only be able to deliver one AVC product with a single traffic class — unless NBN Co provides some sort of NTD with some form of emulated QoS layer. But NBN Co isn't supplying the modems in the FTTB trials either. This basically kills off the mission critical service of voice services in all FTTN/B/dp footprints. The contrast between an FTTN-based NBN and the current NBN is obvious with the inability to even provide "peak speeds" matching the AVC. As per the current Fixed Wireless setup, if an end user is unable to achieve the required signal strength — the customer is removed from the footprint and cannot get the service as it fails to meet the obligations of a connection (i.e. a guarantee of an achievable speed). But if NBN Co doesn't guarantee anything in its FTTN network, then what kind of advantage do RSPs get from what they currently have with Telstra Wholesale L2IG? Everything will just be a best effort peak speed, not caring about actual attainable line speeds, not even taking account contention at the node level. Will Australians get the minimum 25Mbps as we were all promised? Sure, based on Dr Switkowski's interpretation of Malcolm Turnbull's words, we already have it already. Telstra, Optus and Vodafone's 4G networks are rolling out — capable of peak speeds of 100Mbps or more. Even Telstra, Optus and Vodafone 3G networks are all capable of a peak speed of 21Mbps down. Bonding the two networks together will give you 60Mbps down. And the best part is… it doesn't matter if you can receive it or not… because we can't guarantee that you'll get adequate reception anyway… as long as you're in NBN Co's footprint of a network providing up to 25Mbps, it seems like the folks at NBN Co are happy.